CommInsure is a provider of life insurance, home & contents insurance, car insurance, home loans, credit cards, savings accounts, superannuation and investment products. Considering CommInsure Life Insurance? See our comparison table below for a snapshot of its current market offerings. Please note that this table has been formulated based on a non-smoker male in a professional occupation who is seeking cover. The results are sorted by estimated monthly premium (lowest to highest). How much does CommInsure Life Insurance cost? The cost of your life insurance will vary depending on several different factors such as your age, occupation and choice of insurer. You can get a quote for CommInsure Life Insurance by comparing direct life insurance on our website. Compare the quoted premiums to the average premiums for direct life insurance on our database. 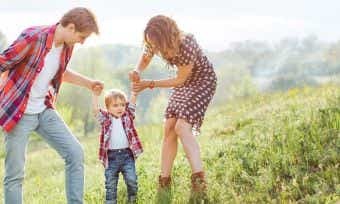 All permanent Australian residents may apply for a CommInsure Life Insurance policy, although your age will be a major factor of your eligibility. Upon application, you’ll also be asked some simple questions about your health, lifestyle and family medical history to determine what level of cover CommInsure is willing to offer to you. If you fit the eligibility criteria, you can apply for CommInsure Life Insurance by clicking on a CommInsure Life Insurance product in the Canstar direct life insurance comparison tables for your occupation and age, and confirm your choice of policy. You can apply for a quote by clicking on the link in our comparison tables. If you need help obtaining a quote, call CommInsure on 13 39 82, or get a quote on the CommInsure website. Can I manage my CommInsure Life Insurance policy online? Yes; in fact, it’s encouraged that members manage their policy online, and CommInsure has a dedicated online portal. By clicking here, you can access statements, update your policy, lodge a claim and make payments. How do I lodge a claim with CommInsure Life Insurance? You or your beneficiaries can claim with CommInsure Life Insurance by calling CommInsure on 13 39 82 or visiting its claims portal on the CommInsure website. If your insurance claim is approved, CommInsure will arrange the payment of your benefit. If your claim for an income protection benefit is approved, this will involve ongoing payments while you are eligible to continue receiving a benefit, rather than one lump sum payment. Are CommInsure Life Insurance premiums tax deductible? Will my CommInsure Life Insurance premiums increase as I age? CommInsure Life Insurance charges stepped premiums, which increase as you age. When you apply for CommInsure Life Insurance, your insurance premium is calculated based on your chosen benefits and level of cover, your age, your occupation, your gender, whether you smoke, your health, family history and whether you engage in hazardous activities. Do I need a medical checkup or blood test to apply for CommInsure Life Insurance? At the time of writing, medical tests are not required to apply for CommInsure Life Insurance; however, in the event of a claim, CommInsure may require additional evidence or do a full review of your medical records. Once you’ve applied for cover, CommInsure will contact you if a medical examination is required throughout the claims process. After buying a CommInsure Life Insurance policy, you can apply to increase the amount of your cover at any time. Your application to increase your cover will be subject to the same eligibility criteria. You should be able to change your level of cover by adding or removing features or coverage, and by increasing or decreasing your sum insured for each type of cover included in your life insurance policy. If you wish to change your policy inclusions, contact CommInsure on 13 39 82 to discuss your options. Can I get CommInsure Life Insurance if I have a pre-existing condition? It depends on the condition and policy you decide to take out. When applying for CommInsure Life Insurance, you must disclose (tell CommInsure about) any pre-existing medical conditions you have now or had in the past, as well as current medications and health issues. Find out more about pre-existing conditions for life insurance here. CommInsure is a brand owned by the Commonwealth Bank of Australia (CommBank). Founded back in 1911 as the government bank for our young nation, CommBank remains Australia’s largest provider of financial services today. CommBank offers a suite of helpful tools for next home and first home buyers. Its Property Guide mobile app makes it easy to search for your next home on the go with Apple and Android devices. On its YouTube channel, it has a great series of videos on buying a home. Community grants: CommBank gives more than $2 million in grants each year through its Commonwealth Bank Staff Community Fund. Worthy causes include 2015 grant winner Starz Dance, who used the money to hold a dance recital for its special needs children’s class. Children’s health: CommBank helps kids in hospital forget they’re sick by sponsoring the Clown Doctors. Financial education: Since 2007, CommBank has been running Start Smart educational workshops for kids and youth to learn how to manage money. The Dollarmites Club started in 1928 and is one of the oldest and most well-known school banking programs for under 12s in Australia. The Dollarmites website has educational games for learning about money, while its Beanstalk website teaches parents how to help their kids save money. Australian of the Year: CommBank has been sponsoring the Australian of the Year since the 1970s.